As we head into our 11th year, time to reflect back on a hugely successful & entertaining 2018. We’d particularly like to thank all of the people we had the pleasure of working with in helping them with their creative ideas and concepts – we are fortunate to have some truly wonderful clients around the world! We have a fabulously talented and creative team too, together with our freelancers and suppliers – brilliant, well done everyone. • and we launched our first self-funded TV series called ‘Earth Cycle’ with journalist Simon Parker – official release info in January 2019. Wishing everyone an enjoyable and prosperous New Year! ● LDN’s newest, fan driven, esports team. ● Giving gamers a path to pro and a home in central LDN. ● LDN’s gamers to be united at community events where they try-out to compete as professionals. ● Fans of LDN UTD can invest in the team via crowdfunding platform, Seedrs. ● First ​ F o r t nit e ​ event to be held at Loading Bar: Server on 4th January 2019 from 6pm to 9pm. ● Winners to compete at EStars presents Fortnite event at the Emirates stadium on 11​th​ and 12​th​ January 2019. ● LDN UTD to launch with innovative motion graphic agency, Observatory, as their creative content partners. ● 1080 Media to provide filming assistance and content production at 4th January 2019 tryouts. LDN UTD is LDN’s newest, fan driven, esports organisation, providing young gamers with a path to pro with our platform and community events. Today we announce our launch. We want to discover the most talented gamers in LDN and enable them to compete in professional esports tournaments representing LDN UTD. Gamers visit ​www.ldnutd.gg to upload their best gaming content. Each month, fans of LDN UTD will vote for their favourite plays and who they want to represent them in esports tournaments. Fans will also choose which titles they wish to compete in, starting with Fortnite. Gamers can also compete in a live environment. LDN UTD’s inaugural “community event” will be held at Loading Bar: Server, January 4th 2019. Gamers will compete for four spaces at the EStars presents Fortnite tournament held at Emirates Stadium on 11​th​ & 12​th​ January 2019. Finally, LDN UTD is giving its fans an opportunity to invest in the team via the Seedrs crowdfunding platform from mid-January 2019. LDN UTD have also brokered a strategic creative partnership with innovative 3D motion graphic design agency Observatory, the partnership will offer impactful visual contents at both a branding and live event level for LDN UTD to immerse esports fans even further visually with the impactful original content Observatory create. As part of this partnership Observatory are shooting and producing LDNUTD’s launch promo. In tandem, ​London based 1080 Media TV are also supporting the event, providing the filming and live streaming of the try-outs on 4th January 2019, bringing their vast experience of sports broadcasting and live event coverage to the esports arena as part of this exciting concept. CEO Cliff Webb said, ”esports is a booming area and it’s exciting to engage in this new concept to explore how this will see and be in on the ‘ground floor’ and supporting he new team”. Adam Whyte, CGO​, “I’ve been a gamer since the original FPS… Duck Hunt. Due to my age (and most likely lack of skill), I never had the chance to play professionally. It’s our dream to enable LDN’s young gamers and provide them with the tools to realise their ambitions to become professional gamers and represent their city on a world stage.” More information can be found at ​www.ldnutd.gg where fans can also register to attend to view the try-outs. Enquiries can be directed to: Oliver Weingarten, ​Oliver@ldnutd.gg​, or +447970944001. 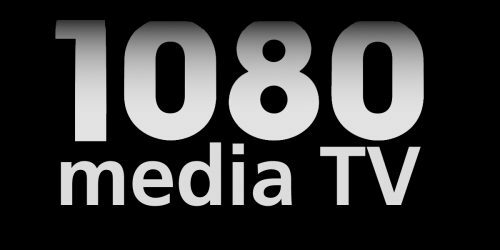 About 1080 Media – ​1080 Media are an award winning production company working across online and traditional broadcast television, producing programmes, live event coverage and video and social media content for some of the biggest sports and news organisations in the world. The award-winning Race of Their Lives – the documentary showcasing the incredible achievements of the Clipper 2017-18 Round the World Yacht Race crew – is set to return for the Asia-Pacific Leg 5. For the first time in the two-decade history of the Clipper Race, the fleet raced to two Chinese Host Ports, Sanya and Qingdao, and all the action and adventure of these two very different races will once again be broadcast across the United Kingdom on Sky Sports and on FOX in Australia. Beginning in the wondrous Whitsundays in Australia, Episode 4 will showcase the warm hospitality of Far North Queensland and the amazing events of the inaugural Clipper Race Carnival that the crew were lucky enough to experience before setting off on the first stage of Leg 5 – the Forever Tropical Paradise Race 7 to Sanya, China. The second crossing of the equator tested all eleven teams, with the heat making life uncomfortable on board. But despite the hardships, the racing was once again thrilling, with the placings only decided in the last few hours of the 4,300nm race. PSP Logistics clinched its first win and was followed across the finish line by Dare To Lead and Qingdao, whilst the fourth placed Sanya Serenity Coast received a hero’s welcome to it’s home port. This was the first time the Clipper Race fleet had visited Sanya and the city, known as the Oriental Hawaii, put on a show. 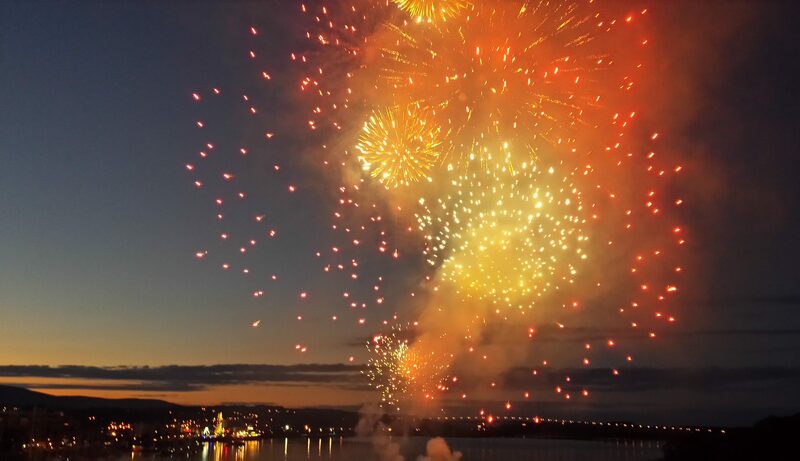 From the Welcome Ceremony, which included dragon dancers and fireworks to the incredible Prize Giving, the Stopover will be a highlight of the circumnavigation for the majority of crew. Sanya was also the scene of the first ever in-port race, with all eleven Skippers hugely impressed by the incredible sailing conditions in the waters off Hainan Island. Race 8, the Sailing City Qingdao Cup, from Sanya to Qingdao was a direct contrast. The tropical heat soon gave way to icy conditions and all the teams were kept on their toes racing through the world’s biggest fishing fleet in the Yellow Sea. 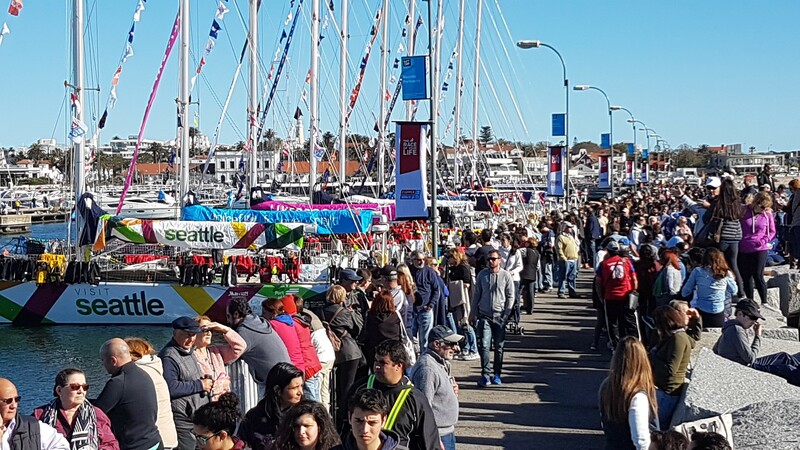 The legendary Qingdao welcome was on show for the boat arrivals at the newly constructed Wanda Yacht Club in the West Coast New Area, particularly for Visit Seattle, which clinched its second win in Race 8. The episode will also be On Demand for a week after the premiere, and the full Race of Their Lives 3 documentary will also be available to purchase after the Clipper 2017-18 Race concludes in Liverpool on July 28 2018. To follow the progress of the fleet, which is currently racing from Seattle, USA, to Panama, keep an eye on the Race Viewer on the Clipper Race website. Ten Years Old! – It’s ten years ago, on April 15 2008 that the company was established, and still going strong! A tremendous amount has happened in those years, some fabulous memories and some tough times and long hours too, but we’ve been fortunate to have worked with some amazingly talented people, travelled extensively to some wonderful places, and had more than our fair share of fun mixed in too. Thanks to all of the clients who have entrusted us with their projects and productions, both past and present; to the multitude of freelancers and staff who have worked with us on the travels around the planet; and to everyone who joined us in helping to reach this milestone in some way, too many to mention. We’ve been very fortunate indeed, as it’s been a fascinating journey so far, with lots more yet to come. A quartet of talented youngsters were shortlisted from a wide entry encompassing all media skills from video, photography, standard blogs to an e.book and paintings. Andrew Shrimpton (16) from Gosport for his interesting video presentation on the 2016 Round The Island Race. Entries are now open for the 2018 YJA Young Blogger Competition which is open to ANY aspiring young Journalist aged 21 or younger on the 31st December 2018. Clipper Race 2017 – Leg 2 Review, filmed by the crew! Here’s a fun video which aired on FaceBook first, a compilation of footage from the media crew volunteers on each of the yachts, (who we have been helping train for the past few months! ), together with Dani, our round the world sailor/professional shooter, and out stopover crew. SPORTEL, MONACO, MONDAY 23 NOVEMBER 2017: Billed as the greatest ocean adventure around the planet, the biennial Clipper Round the World Yacht Race has extended its commitment to a fourth season of the award-winning ‘Race of Their Lives’ human adventure unscripted TV series, produced by UK based 1080 Media TV, to complete distribution deals through to 2020. ”We continue to have excellent feedback from broadcasters to the 7-part series we produce for the Clipper Race, which follows this unique challenge through the experiences of the Corinthian competitors of all ages and backgrounds, as they take on this extraordinary endurance challenge” said Cliff Webb, CEO of the 1080 Media TV. ”We have been very pleased with the quality and style of programming and extensive distribution achieved by 1080 Media TV”, comments Jonathan Levy, executive producer on behalf of race organisers Clipper Ventures. ”We feel it is important to be able to maximise the development of the widest possible range of content which engages with audiences everywhere, who are captivated by people like them, and who take on this incredibly challenging human adventure. ”Extending our production partnership to 2020 enables us both to take advantage of new channels and technologies. Despite more than 20 years of running the Clipper Race, we are constantly evolving and continue to grow from strength-to-strength with a very robust and successful business model. We are already signing up crew and sponsors for 2019-20 and even 2021-22”. The crews involved in the 2017-18 Clipper Race have just completed the longest ever race leg, over 6400 nautical Miles after 32 days at sea, and more for the last of the 12 yachts to arrive. Here’s our video to celebrate the event, played at the awards ceremony in Punta del Este. The 2017-18 Clipper Round the World Yacht Race began in Liverpool on August 20th from Liverpool, England. Our team were there to produce a live 5 hour stream of the event to FaceBook and YouTube and a special player in China, and also a Live one hour TV show that was broadcast throughout the world via TV stations including FOX Sports, OSN, Nautical Channel and others. The Coverage is here and the feedback from the client and viewers was amazing! Great event and congratulations to the entire Clipper Race crew for a smooth start to this 40,000 mile, 11 month adventure. We are producing a 7 x 1 hour TV adventure documentary series focusing on the stories of the people taking part, in Series 3 of The Race of Their Lives. Table Tenni s England has agreed broadcast rights deals with two of the UK’s biggest broadcasters this week in a new sign of the sport’s resurgence. 1080 Media TV to produce another live stream and Sky Sports Mix TV show of one hour. 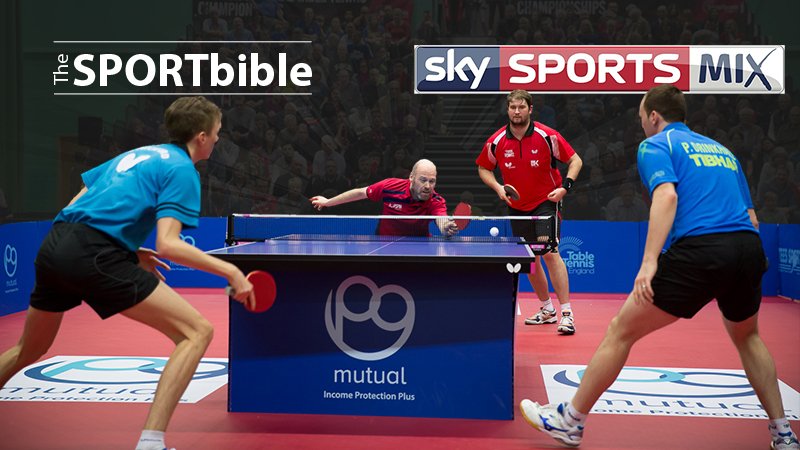 The 2017 PG Mutual National Championships will broadcast live on TheSPORTbible after Table Tennis England signed a deal with Europe’s largest and most successful social video publisher, TheLADbible Group. 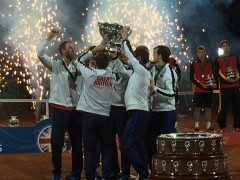 Highlights of the tournament will also be shown on Sky Sports, home to some of Britain’s best sporting content. The men’s doubles, women’s singles and men’s singles finals will be shown live on TheSPORTbible Facebook page on Sunday March 5th, from 2.15pm. The deal builds on the success of England Leopard’s European Qualifying match against Greece in November, which attracted a record 2.2million unique viewers on TheSPORTbible Facebook page. TheSPORTbible is one of the UK’s most visited sports media websites. It has more than nine-and-a-half million fans on Facebook. The production will be provided by 1080 Media via six cameras around centre court, with full commentary and player interviews. In addition, highlights of the PG Mutual National Championships will be shown on Sky Sports Mix at a later date. Sky Sports Mix is a new sports channel on Sky TV which is free to air for many viewers and shows a diverse range of sports. “I am very pleased to be working with TheSPORTbible again. The fact the leading sports website in the country wanted to take another of our live broadcasts is a real indicator as to the health of our sport in England. 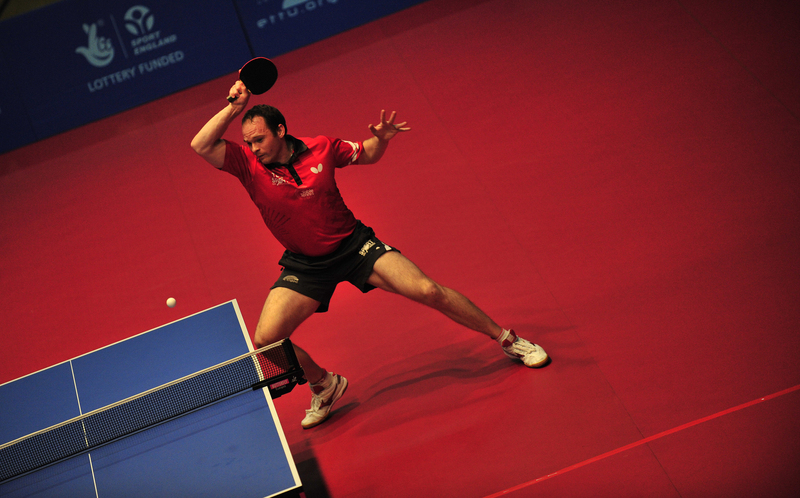 Recent figures published by the government show that 450k people play table tennis a month. We are in the top 20 of participation sports in the country. By having a true partnership – which is what we have with TheSPORTbible – we continue to disrupt broadcast market, take our sport to new audiences and offer real value to our commercial partners. 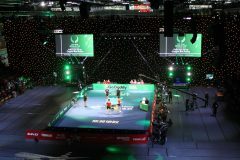 “As our previous partnership with Table Tennis England demonstrated, there’s a massive global appetite for many of the mass participation sports that traditional sporting TV networks have chosen not to cover. Many established players suddenly woke up when they realised over two million people watched our last tie-up, with many staying online for longer than average. We even heard from our viewers who decided to give table tennis a go at their local club. The PG Mutual National Championships is the most prestigious event in the English domestic calendar and is being staged in Nottingham from March 3-5. The best 32 male and 32 female table tennis players in the country, including up to six Team GB members from London and Rio, will battle it out in singles and doubles competitions. There are also a number of para competitions on the Saturday, featuring up to eight members of the Paralympics GB squad from Rio. Our team was appointed to cover the Babolat Masters Cup, end of season finale to the touchtennis tour. Promoted and backed by the Lawn Tennis Association, the sport founded by Rashid Ahmad is growing quickly. We provided 4 hours of live online coverage to the sports own FaceBook page, then switched to the SportBible FaceBook page for the final hour to feature an exhibition match between Britain’s ATP player Marcus Willis and top selling rapper Sean Paul. Over 900,000 viewers enjoyed the action through the broadcasts. We then produced a half hour TV slot which first aired on Sky Sports on the 20th December at 19.30 and has repeats through the week. 1080 Media TV were appointed to provide multi-camera coverage and live stream England’s European Qualifying table tennis match against Greece on 1st November 2016. This attracted a record 2.2 million unique viewers to the live broadcast on TheSPORTbible Facebook page. Breaking new ground for both rightsholder and broadcaster, the full fixture was broadcast exclusively digitally, achieving viewing figures which surpass many major televised football fixtures. The audience figures establish clearly for the first time the market for stream-only sports events, reaching an audience demographic of millennials which mainstream broadcasters have found increasingly difficult to engage with. The stream-only broadcast marks a first both for sports governing bodies in England and digital publisher TheSPORTbible (whose reach of 100m a week makes it more popular than both the Daily Mail and the Guardian websites). After this – we 1080 Media TV were then commissioned for a Women’s International in Gillingham on November 22nd and this was another huge success with England also winning this match 3-2, and with another sizeable audience watching our live stream on Team GB’s FaceBook page. Exciting times and hugely enjoyable to be involved. 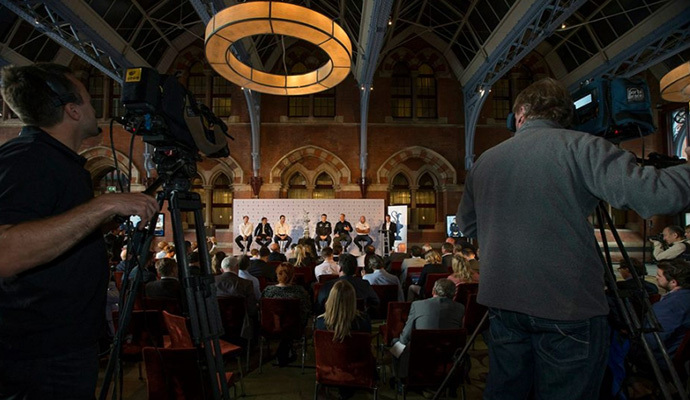 UK based rights holder Clipper Ventures Plc has announced it will retain the 1080 Media Organisation as Official Host Broadcaster for the eleventh edition of the unique biennial ocean endurance challenge for every-day people that is the Clipper Round the World Yacht Race. “1080 Media TV did an outstanding job producing and distributing our TV news, social media, long-form and live content for our 2015-16 edition, reaching over 150 territories around the world,” said Clipper Ventures Global Business and Communications Director Jonathan Levy on signing the deal at the sports TV market Sportel in Monaco today. 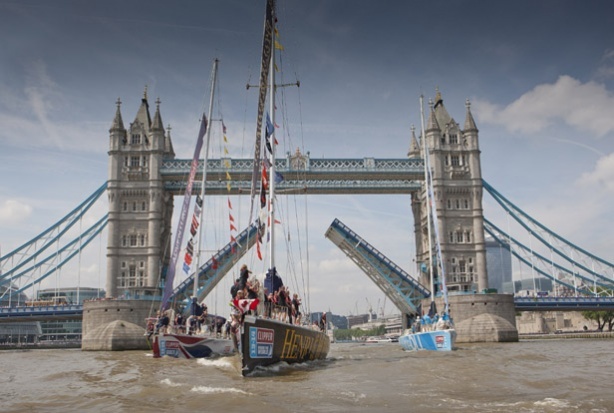 “We developed the new human adventure format for our global TV series with 1080; The Race of Their Lives comprises 7 x 1 hour (52-minute) shows which have been taken by broadcasters as each episode is delivered during the Clipper Race and again post event as a full series. The second season is already picking up awards for its gritty portrayal of real people facing harsh reality, triumph and tragedy. We decided to maintain the momentum and interest by committing to a third season now. I feel it is the most compelling human adventure sports show of its type,” added Levy, who is also Executive Producer. 1080 Media TV said it was delighted to retain the rights for a third season to produce and distribute the global long-form official TV series, live feeds, news and social media packages. “We will continue to develop a strong multiplatform approach which maximises traditional broadcast and new digital media opportunities for a strong global brand like the Clipper Race,” said Founder and CEO of the 1080 Media Organisation, Cliff Webb. Not for the elite, this is for every-day people, from all walks of life, who take on the world’s toughest endurance challenge: The Clipper Race is undoubtedly the greatest ocean adventure on the planet with 700 people, spanning three generations and 42 nationalities board the one-design fleet of twelve identical 70-foot racing yachts competing in a series of 14 races between six continents, notching up almost 50,000 miles over 11 months. Many are novices and have never sailed before their extensive training. It’s a challenge that tests the physical and mental boundaries of everyone involved as they take on ‘Mother Nature’ in the raw from hurricane force winds to frustrating doldrums, freezing temperatures and blistering heat. Without doubt, one of the best evenings of the year – lots of hard work from our team, but a glittering night! 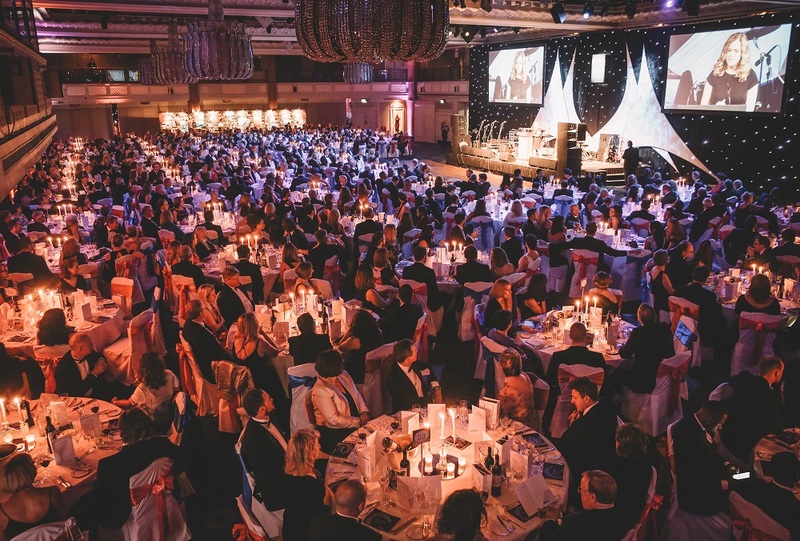 Staged in the fabulous Great Room at the Grosvenor House Hotel on Park lane in London, our team was responsible for all the sound, the screens, the lighting and the camera coverage as 600 guests celebrated this amazing milestone in Clipper Ventures history. 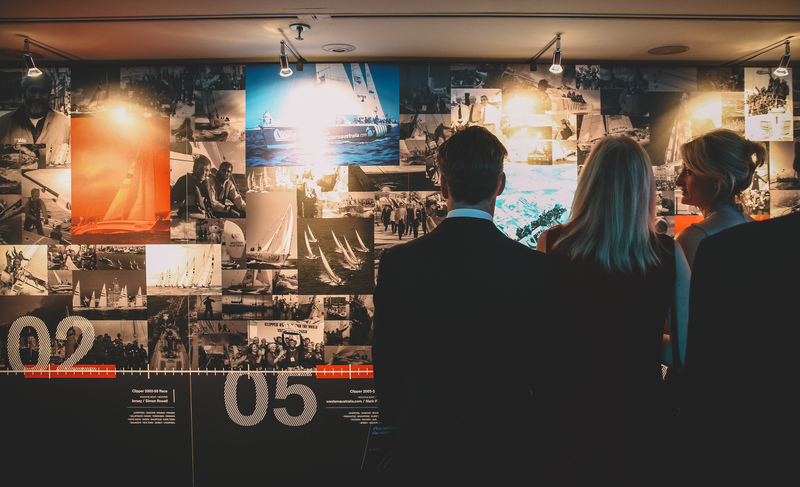 We had a table of guests there too and were honoured to be a partner to the Clipper Race and mentioned on their wall of fame. 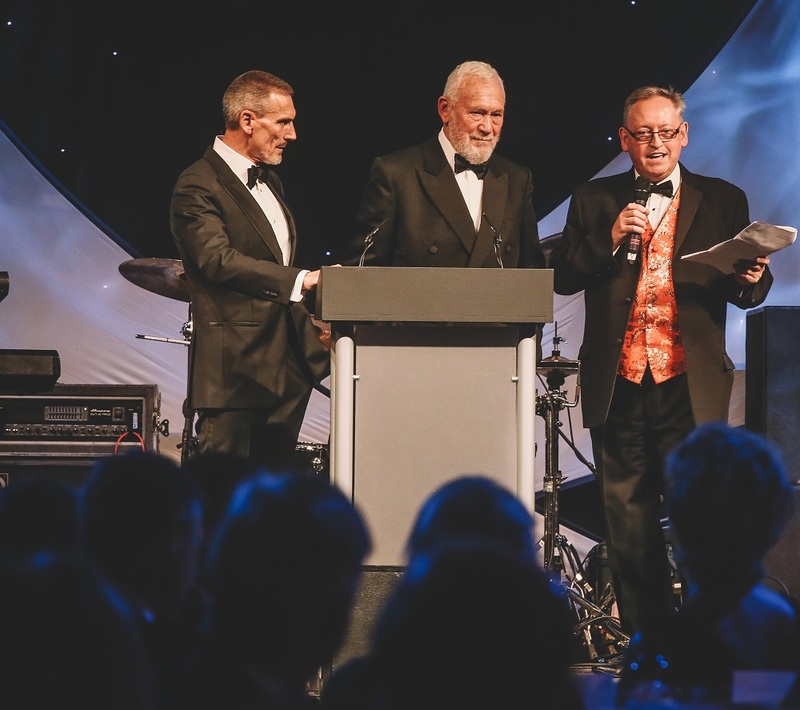 The familiar Clipper Race sailing attire was swapped for dinner jackets, bow ties and glamourous dresses this weekend in the sublime setting of the Great Room in the Grosvenor House Hotel, Park Lane, London. 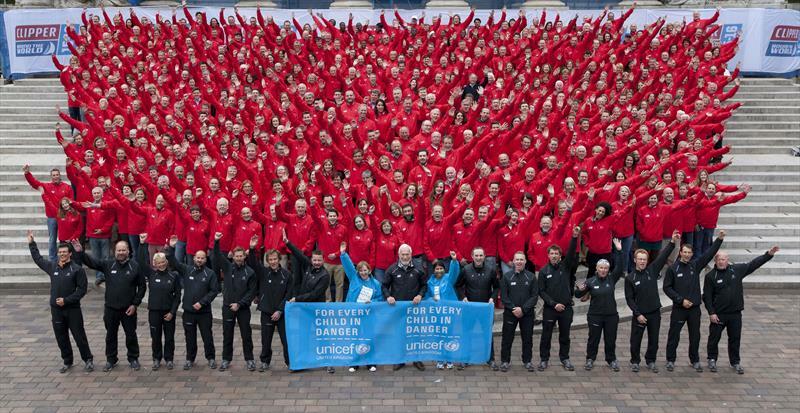 More than 600 crew and skippers, plus supporters, staff and partners from the years celebrated twenty years of the greatest ocean adventure on the planet, and helped raise our Unicef fundraising total to a staggering £330,000, with many proceeds still to be added. On the landmark celebrations, Chairman Sir Robin Knox-Johnston said: “Myself and William are incredibly proud to be here with you all, celebrating the Clipper Race’s twentieth anniversary. “I created the race as I wanted everyone to have the opportunity to experience what I, and very few others had been fortunate to experience. 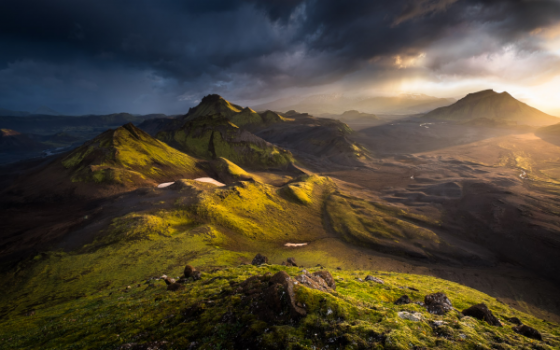 A circumnavigation is one of the toughest, but most powerful experiences you can have in life. “The challenges of crossing an ocean, digging deep with your crew mates to reach a finish line in a race which often seems never-ending, and overcoming the fatigue of facing Mother Nature’s fiercest faces, provides you with an incredible opportunity to exceed ordinary human limits. “Couple this with the incredible highs and jubilant celebrations that come with completing something that few people on this planet dare to experience and you know why the Clipper Race is so special. It is an achievement which lasts a lifetime. It can never be taken away from you, no matter how many years pass or how life continues,” Sir Robin added. Guests enjoyed a sumptuous three course dinner ahead of an engaging charity auction which raised in excess of £80,000 for Unicef. The top lot of the evening, a sail for four people on board Suhaili with Sir Robin went for two bids totalling £20,000 after the successful first bidder paid £10,000 but then rather amusingly declared he got seasick easily and didn’t want to actually go out on the water, so re-entered the prize. Lily Caprani, Unicef Deputy Executive Director, told the crowd: “The Clipper Race is where individuals challenge themselves to do things that are difficult, to overcome their fears and be courageous and to really go that extra mile, and they do it all around the world. That is very similar to what Unicef does in its aim to keep children safe around the planet so it makes perfect sense to me that we partner together and help to change other people’s lives in the process. Proceeds from the ticket sales, raffle, and interactive heads and shoulders game are yet to be added to the overall Unicef fundraising total. During the evening, CEO William Ward, whose son Andrew was the youngest person to take part in the first race, said: “I was initially drawn into the Clipper Race based on the early crew applications and the overwhelming enthusiasm people showed towards the challenge. “Over the years we’ve shared incredible achievements in outstanding places around the world and built a very exclusive network which feels much like a family in the process. Sir Robin has grown to be one of my closest friends over the years. Like any business, it hasn’t always been smooth sailing, especially in the early years when we were working hard to get it off the ground, but whenever it seemed the world was against us we stood shoulder to shoulder. That sort of bond is hard to find. Familiar faces of the Clipper Race family unsurprisingly took the Clipper Race party spirit into full swing when Harry Hammersmith & the Flyovers got everyone clambering to the dance floor, before party band MadHen took over as the night continued and almost raised the roof of the Great Hall with its mad mash up style of classic and modern dance hits. 186 crew departed Plymouth for the Clipper 96 Race on Wednesday 16 October on board eight 60-foot yachts for a race route based on that taken by the historic tea clippers. Today, more than 700 people take part on a third generation fleet of twelve 70 foot yachts, and the race is also used as a powerful business platform for destinations and leading brands, but the raw experience and challenge is the same as crew pit themselves against Mother Nature. 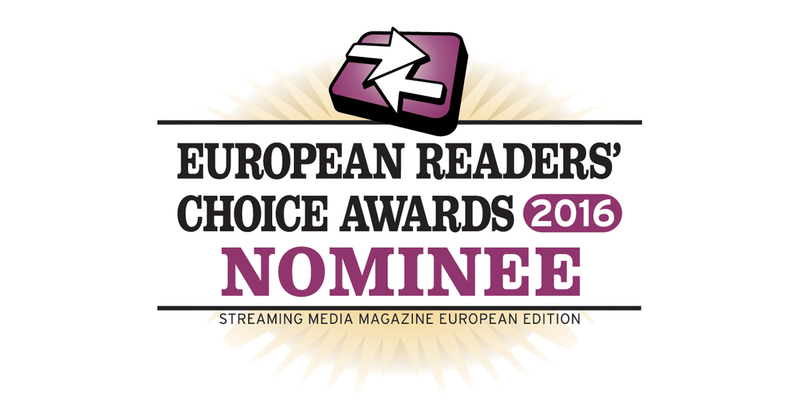 We’ve been nominated for another award – this time for Best Streaming Services provider! We’re naturally pretty pleased with this, so do vote for us now as voting closes on October 3rd. 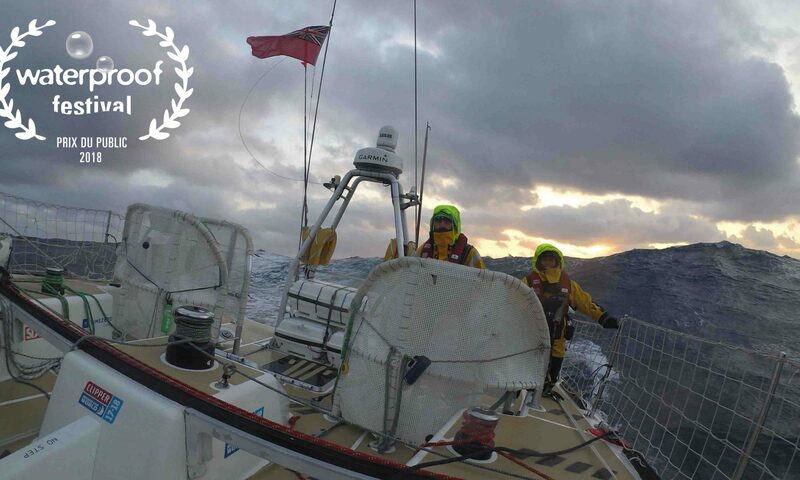 1080 Media TV has won two categories in the TMT Media Awards – ‘Best Documentary Series-UK’ for their seven part series called ‘The Race of Their Lives’ which is based on the 2015-16 Clipper Round the World Yacht Race, and also ‘Most Innovative Online Broadcast Company-UK’. 1080 Media Founder and CEO Cliff Webb said of the awards, ‘’This is the second Clipper Race we have covered, and after the success of the first series of ‘The Race of Their Lives’ in 2013-14, we felt we could take the formula developed then and make further improvements on the coverage for the second series, which appears to have been proven in winning this award. The series is about the people taking part and their experiences as they race for 11 months around the planet on these 70-foot Clipper Race yachts. We chose key characters for each episode, and followed these amateur sailors, many of whom had never sailed before, as their epic adventure unfolded through this 40,000 mile circumnavigation. We began by following the crew training ahead of the race itself, and embedded one producer/camera operator who underwent the same training. Richard Edwards was also a novice sailor, but followed a different crew through each of the 14 races involved around the world, documenting the storms, the heat, and the emotions the crew experienced. We supplemented his coverage at each race stop-over and had extra cameras cover specific aspects such as the iconic Sydney-Hobart race. We work together with major international networks, so the series has been broadcast in over 100 countries and on airlines thus far. It is therefore naturally very rewarding to have the hard work and effort that has gone into this series recognised with this accolade. On behalf of the Clipper Race, Global Business and Communications Director Jonathan Levy commented, ‘’This is a very challenging production requiring news and long form programming to be produced in a very hostile environment, which is a testing of both people and equipment. The TV series perfectly captures the human story of ordinary people taking on a remarkable journey set within a highly competitive race. 1080 Media TV have turned around content in a fast and compelling way together with global distribution to major international broadcasters. We are very pleased that they have turned this into an award winning series’’. Webb continued, ‘’in winning ‘Most Innovative Online Broadcast Company – UK’ this illustrates how we have been able to distribute the content produced, not just for the Clipper Race, but for all of our international clients. This includes live streaming, news productions and social media delivery. We offer services to a range of clients from event producers to PR agencies, sporting federations, sponsors, large corporates and broadcasters too, as we work across all forms of moving media. 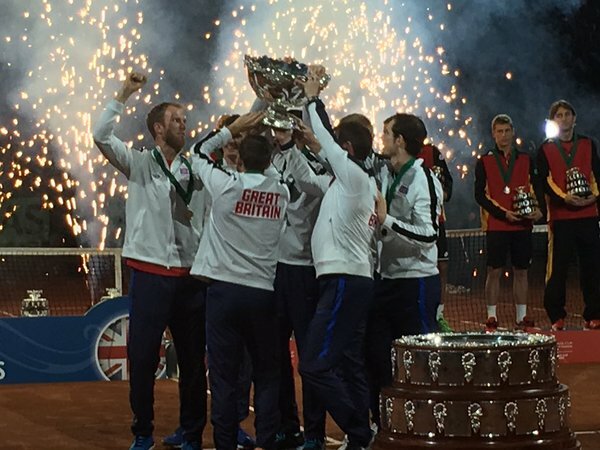 For the International Tennis Federation (ITF), we cover Davis Cup and Fed Cup ties, providing the news delivery to 50+ broadcasters via satellite and FTP, and also help with social media content around the ties, plus we provide live streaming of both the fed Cup and Davis Cup draws. This together with our expertise in 4G transmission systems puts us in the position of being able to offer an all-round service’’. He concluded, ‘’We are naturally delighted to win these two awards as each illustrates our capacity to deliver high value content for our clients, and is a testament to the dedication and effort our team have put in over the past 18 months in particular’’. TMT – Technology. Media. Telecoms. TMT News. From marketing agencies to PR firms, the 2016 Media Awards turn the spotlight on firms or individuals operating in the media industry that have excelled in the past year, working to provide the best possible service to their clients. A part of AI Global Media Ltd – International Publishing Group. 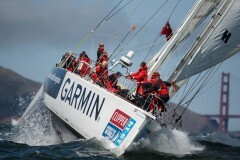 For information on the Clipper Race visit www.clipperroundtheworld.com. It was a pleasure to work with the International Tennis Federation team during their AGM this week taking place in Zagreb, Croatia, for the live draw of the 2017 Fed Cup by BNP Paribas. This determines the draw for next year;s tournament and who plays whom where. This is the fourth year we have covered the event for the ITF, and this year we provided the complete coverage for this with all of the camera and streaming technology, but also the event PA/audio system. It was live streamed on the FedCup website and YouTube, and then we provided the rushes, which included additional post-draw interviews and images of the trophy for the ITF’s broadcast partners globally. Fed Cup was launched in 1963 to celebrate the 50th anniversary of the International Tennis Federation (ITF). It’s now the world’s largest annual international team competition in women’s sport, with 102 nations entering in 2016. 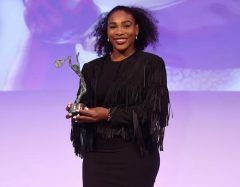 This week, we covered the International Tennis Federation’s glamorous Champions Dinner in Paris graced by stars past and present including world No.1 Serena Williams. The glittering line up included other interviews with Billie-Jean King, Brad Parker, Martina Hingis, men’s and doubles world champions and the Junior World champions too, plus ITF President Dave Haggerty. Produced the news coverage for broadcasters and a YouTiube video for the public. 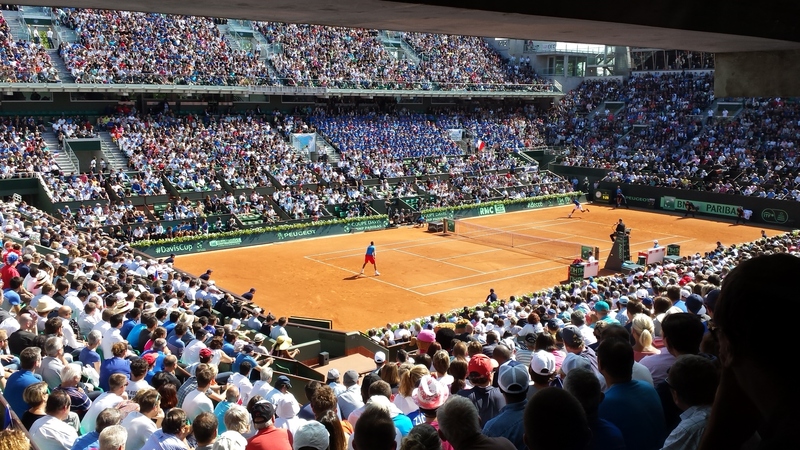 The 2016 French Open – Paris A week of interviewing the players in Paris for a soon to be shown ITF project. Clipper Race Advertising for New York Subway – production of short but powerful ads to promote the upcoming stop-over in New York. Match Race Germany – The weather was poor but the atmopshere and the racing was fabulous! A week of covering an international Match Race on beautiful Lake Constance. Karol Jablonski from Poland won it, a great week and thanks to everyone involved. We produced news coverage and a live stream 8 hours a day, plus a promotional video on the event. Clipper Race stop-over Seattle – As this round the world adventure continues, Seattle was the latest finish and start to cover. While our man Richard Edwards continues on his own 40,000 mile filming project, covering every aspect of the race, switching yachts for each of the 10 races thus far, it was an intensive stop-over for our team.. Covering the arrivals night and day as the 12 yachts arrived, there was also a packed activation schedule in port plus catch up filming with all of our key charachters in our ‘Race of Their Lives’ TV series. 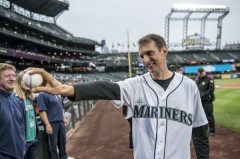 Visit Seattle Skipper Huw Fernie got to throw the ceremonial First Pitch at the Mariners baseball match and we were there right behind home plate for it! The departure was a huge event with a military band and enormous crowds there to see the yachts off on the next race to the Panama Canal. 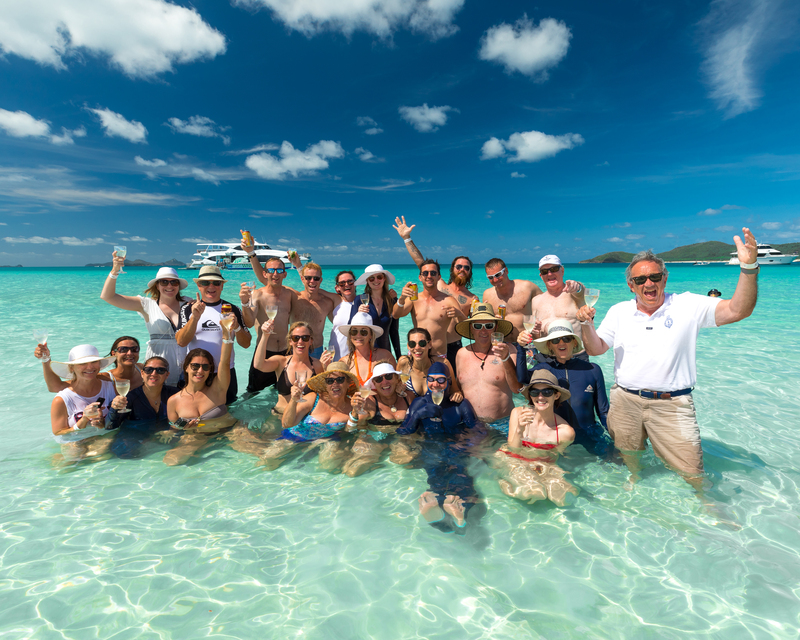 The second instalment of the Clipper 2015-16 Race TV series, ‘Race of Their Lives 2’ will be broadcast across Europe and Australia on FOX SPORTS 2 and BLOOMBERG TV from Monday 1 February. In Episode 2 of the Race of Their Lives 2, we meet Anna Downer-Duprey, a young crew member thriving in the Clipper Race challenge. We also meet Ross Ham, circumnavigating for his second race, and Catherine Anderson whose incredible determination forced her to change her life in order to continue her dream of sailing around the world. Mother and daughter duo Linda and Sophie Crocker are racing against each other, and there’s family rivalry as they sail from Rio to Cape Town across the South Atlantic Ocean. Heading for home is Sapinda Rainbow Ambassador Rveida Mthethwa on the IchorCoal crew, whose family think she’s mad wanting to sail the oceans, and we meet Rich Perkin on the Garmin team, who explains surviving life aboard in the freezing temperatures, the storms, and the lack of sleep, as all of the Clipper Race teams begin their descent into the Southern Ocean and race towards the Australian continent. This is the second of seven one hour shows, produced by 1080 Media, with an exclusive ‘access-all-areas’ pass to the tenth race edition – each will be broadcast every six to eight weeks as the episodes are completed while the race progresses around the world. Bloomberg TV is also currently showing season one of Race of Their Lives from the Clipper 2013-14 Race every Saturday and Sunday at mid-day GMT (1300 CET). This weekend (Jan 30 and 31) you can see Episode 7. Click here to view the ‘Race of Their Lives 2’ trailer. This weekend sees our ‘Race of their Lives’ series continue on Bloomberg Television across the UK and Europe. 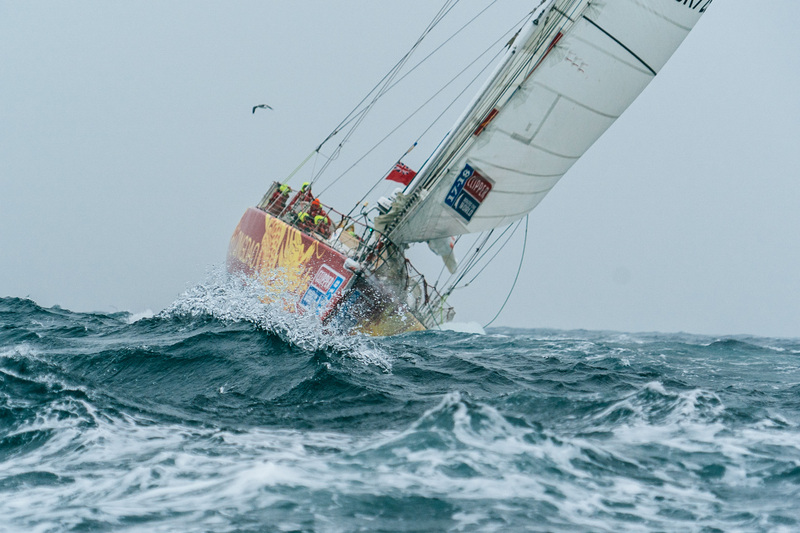 Episode 6 of the series, which followed the Clipper 2013-14 Race, airs this Saturday and Sunday at 1300 CET (1200 GMT). Bloomberg TV can be seen in the UK on Sky channel 502; Virgin channel 609 and Freesat channel 208. The 2015-16 series, ‘Race of their Lives 2’ is also being aired on Bloomberg TV with episode 1 premiering last December and with programme 2 due in February. It was the first of seven, one hour shows with an exclusive ‘access-all-areas’ pass to the tenth edition of the Clipper Round the World Yacht Race – each will be broadcast every six to eight weeks as the episodes are completed while the race progresses around the world. The first episode follows some of the 700 crew as they embark on their pre-race training and team selection, to the spectacular start from London, followed by the tough and challenging first race to Brazil. Bloomberg Television has acquired the rights to sports news and long-form programming of the world’s longest ocean race. Season two of the highly acclaimed series ‘Race of Their Lives’ airs from this weekend and comprises seven one-hour shows with an exclusive ‘access-all-areas’ pass to the tenth edition of the Clipper Round the World Yacht Race – the unique biennial endurance challenge for amateur sailors. The unique event was established in 1996 and sees hundreds of competently trained teams of ‘Corinthian’ competitors from all walks of life, under the command of professional skippers, take on the longest and toughest ocean race around the planet at more than 40,000 nautical miles. It takes almost a year to complete a series of 14 races between six continents, including the challenging Australian blue water classic, the Rolex Sydney Hobart Yacht Race. The compelling human story of endeavour and endurance unfolds in this exclusive television series. The first episode of the second series of ‘Race of Their Lives’ will air on Bloomberg Television on Saturday 19 and Sunday 20 December at 12pm GMT across EMEA. Subsequent installments will air in future months as the race progresses around the world, ending back in London at the end of July 2016. UK based 1080 Media TV has been retained for a second season to produce and distribute the global long-form official TV series, live feeds, news and social media packages. “We introduced a new look and style to the production in the last race and will continue to develop a strong multi-platform approach which maximises traditional broadcast and new digital media opportunities for a strong global brand like the Clipper Race,” said Founder and CEO of 1080 Media TV Cliff Webb. The Clipper Race fleet is owned and operated by Clipper Ventures which commissioned the TV series: “The reappointment of 1080 Media TV reflects the growing demand and diversity of requirements for our high-energy content as every-day people take on this remarkable challenge,” said Clipper Ventures Global Business and Communications Director, and executive producer, Jonathan Levy. 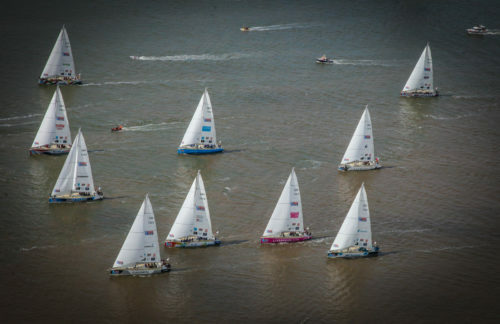 The Clipper 2015-16 Race got underway at the end of August, reached over 125 countries including race destination markets such as the UK, Brazil, South Africa, Australia, Vietnam, China, USA, Panama and the Netherlands, plus France and Canada following skippers and crew in big numbers. “New technology on the twelve yachts is also opening up live access for broadcasters. We can support live video Skype links from the deck of the yachts, which creates unprecedented opportunities for audiences to be at the heart of the action as it unfolds,” added Levy. 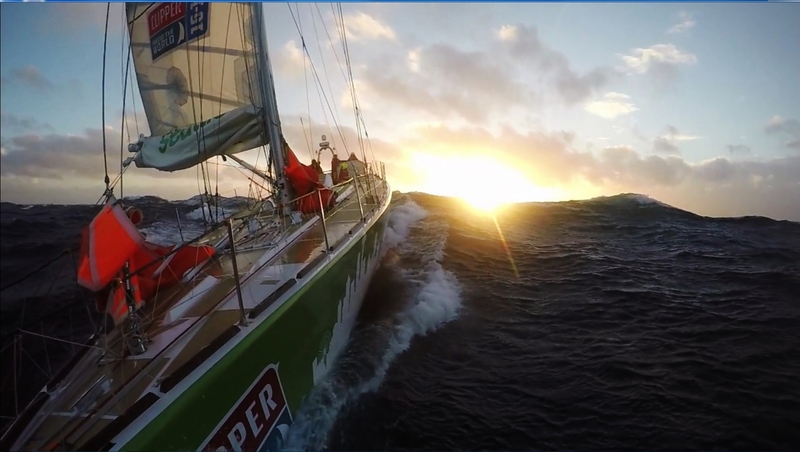 1080 Media is proud to return as the production team behind the successful Clipper Race TV Series. First episode of Season Two of the highly acclaimed series ‘Race of Their Lives’ airs on the 18th of December on FOX SPORTS 2 Australia at 1600 AEDT. 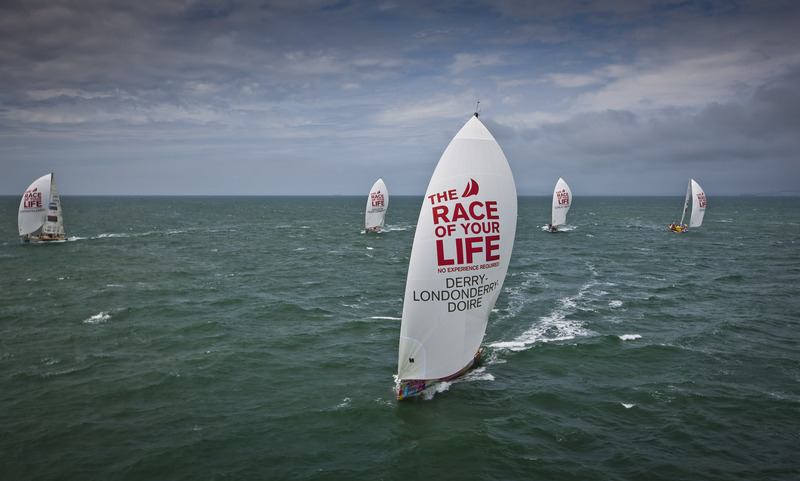 Viewers in the UK and Europe will also be able to see it on Bloomberg TV which is currently showing Season One of Race of Their Lives from the Clipper 2013-14 Race every Saturday and Sunday at mid-day GMT. As 2015 is coming to an end, the 1080 Media Team is proud to close another successful year working with the International Tennis Federation, covering all year around both Davis Cup and Fed Cup. A privilege for our crew to be there! 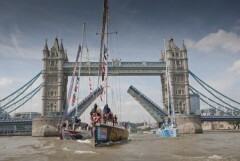 2015-16 Clipper Race to Rio is on! Mobile Viewpoint WMT 4G system = top class reliability! We used the Mobile Viewpoint WMT 4G transmission system through a fascinating election night, providing excell ent reliability again with solid images and audio. 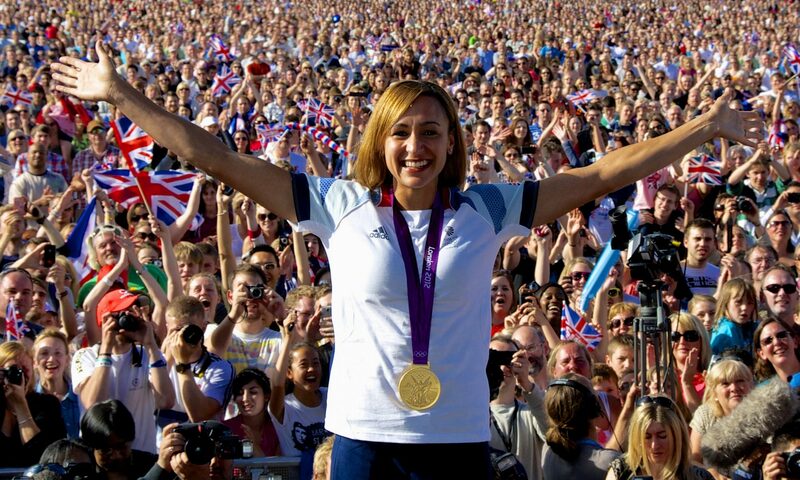 We also assisted BBC News with their top class coverage of this incredible result! More than 500 2015-16 crew assembled in Portsmouth Guildhall with their family and friends to discover which team and professional skipper they will be sailing with when the tenth edition of the Clipper Race starts on Sunday 30 August. 1080 Media together with equipment supplied by Surtees Audio Visual covered the event for Clipper, live streaming the two hour presentation, producing news feeds and also videos for social media. 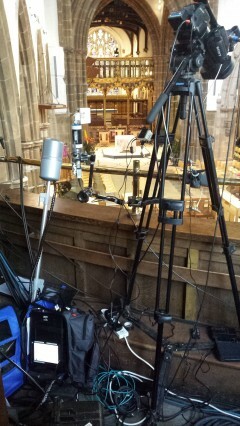 The 3/4G WMT transmitter was used from inside the Guildhall in Portsmouth, uplinking at a solid 5MB throughout, enabling an HD stream to YouTube and also to our special VidZapper player which was used to stream live into China. This was important for both sponsors and crew based in the city of Qingdao, who although 7 hours ahead, were able to enjoy the live show throughout. Some fabulous tennis as the Fed Cup semi-finals rolled into Sochi in Russia for their tie against Germany, and defending champions Czech Republic faced up to France in Ostrava. Our teams were there providing news coverage with a satellite playout for the International Tennis Federation once again, plus videos for social media. We cover all facets of the ties, from the players dinners to the official draws, the post draw interviews and we are on court working with the host broadcasters for the winning, and then losing interviews with the players and Captains. The dominant Czech team which includes Petra Kvitova, ranked No.4 in the world, won with a 3-1 margin, and are perhaps favourites to win the title for the fourth time in 5 years. Meanwhile over in Russia, it was an excellent tie between two strong teams. Russia went 2-o up on the first day, but then Andrea Petkovic (ranked 11) and Angelique Kerber (ranked 12) led a German fightback to level the tie at 2-2. That set up a Doubles rubber that would decide the finalists, and the Russian duo of Pavlyuchenkova and Vesnina prevailed with a 2-0 victory to send the spectators home happy. The finals are next November in Prague. 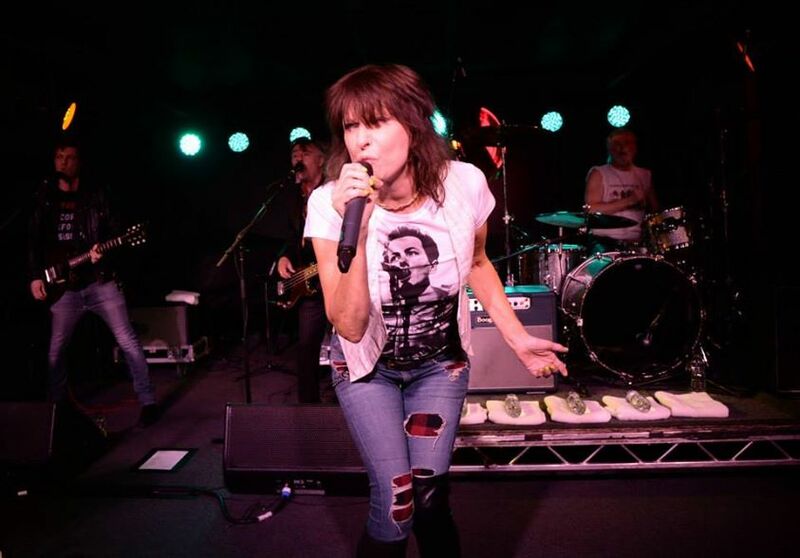 Our team was lucky enough to be invited to cover the recent Joe Strummer Charity bash at the stylish Boisdale Restaurant in Canary Wharf. JOOLS HOLLAND & HIS BOOGIE WOOGIE SHOW (who is a patron of Boisdale), with Axel Zwingenbergerand Ben Waters and guest star appearances from MICK JONES, SUGGS from Madness, and CHRISSIE HYNDE of the Pretenders. 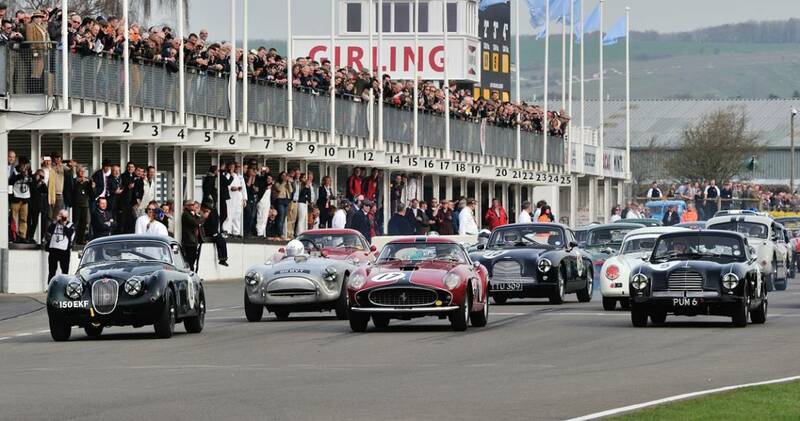 For the first time, Goodwood chose to stream the coverage of their Members Meeting – a weekend that is literally only open to this group of enthusiasts. Working together with Aurora Media who were providing the live coverage, our team streamed both days live from early morning until it was so late, the cars needed their headlights to see the race track! With multiple streams to suit different requirements and demands, it’s a huge event and lots of work for everyone, but also hugely enjoayble. Fabulous event loved by all – well done to all involved. Our crews covered two ties of contrasting fortunes in the recent Davis Cup first round, working together with the International Tennis Federation. One team was in Glasgow, UK for GBR v USA, and the other in Kraljevo, Serbia for serbia who hosted Croatia. Here World Number 1 Novak Djokavic dominated the tie and was involved in winning 3 of the matches including both his singles, but also the doubles match. The team went on to win 5-0 in a crushing victory. Meanwhile, world number 3 Andy Murray was playing at home in Glasgow for the first time in many years, and led an unbelievably tight, and incredibly noisy encounter with the USA who they defeated in San Diego in the same tie last year. Murray won the opening rubber against Donald Young as expected, but James Ward, ranked outside the top 100, played the match of his life against top 20 player John Isner, coming back from 2 sets down and on the brink, to an astonishing 15-13 victory in the final set, to give GBR a 2-0 advantage after the first day. Day 2 saw the British pair of Dom Inglot and Jamie Murray take on the world number one pair of Mike and Dan Bryan who expected a swift victory, but in the same vein as Ward, they fought back from a 2-0 deficit in the 3rd set to take the match to a 5th deciding set. That went to 7-9 in a match of over 3 hours. Andy Murray needed no second invitation in the 4th rubber however, and took down Isner 3-1 to ensure a second consecutive victory over USA in the Davis Cup and send the full house in Glasgow through the roof with noise. Final result – 3-2 and GBR now face a home tie with France in the quarter finals. The magnificent stadium in Lille for the Davis Cup Final; 27,400 people is a new record attendance. Czech Republic and Germany, and then the Davis Cup Finals between France and Switzerland in Lille working with the ITF’s fabulous TV and web teams. Both ties finished 3-1 but were spectacular events and out team were on site for a week following the teams through press conferences, practice sessions, the official draw, opening ceremony, and the actual matches themselves, then to top it all we were invited to attend the players closing dinners. Our role is a dual one, preparing footage for ITF licensed broadcasters for an SNG playout, producing features for the ITF web channels, and shooting match interviews with the players for both broadcast and online. In the Fed Cup, Petra Kvitova was on top form for the Czech team as they swept past Germany with rapturous support at home, whereas, over in France during the Davis Cup, Switzerland fielded Roger Federer and Stan Wawrinka and took it to the French. We had followed the french team from the very first round, covering each of their matches so go to know the players and the FFV support team, and huge thanks to Stefan and Dorothy in the media office who made our life so much easier and more fun with all their help! Federer lost his first tie to Gael Monfils, but came back to win doubles and his second rubber against Gasquet, winning the Davis Cup for Switzerland for the first time in their history, with an exquisite drop shot. Great events, great people to work with so thanks to all. The Barbican, London, November 14 2014. What a night! Working with Low Latency Productions and Serious events, we provided cameras and operators for this live BBC Arts red Button production, simulcast on BBC Radio 3. Tremendous work by Director Jonathan Haswell to keep the live feed rolling for over 3 hours, including through the break where we covered a chat show with the stars of Jazz Voice before rolling straight into the second act of the show. The broadcast was transmitted to BBC Scotland via internet/3G using the WMT transmitter which performed flawlessly throughout. Arranged, scored and conducted by Guy Barker, this year’s extravaganza included Dee Dee Bridgewater, Emma Smith, Georgie Fame, Jacqui Dankworth, Jacob Banks, Kurt Elling, Natalie Williams, Sachal andVulaMalinga, alongside a fantastic 40-piece orchestra. The evening was hosted by award-winning broadcaster and singer Jumoké Fashola and inimitable jazz vocalist, producer and broadcaster Ian Shaw. The Spectator Cigar Smoker of the Year! 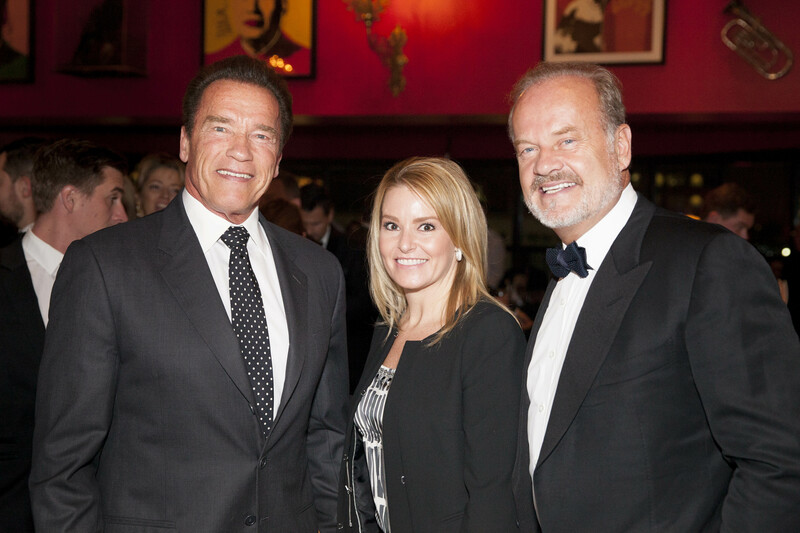 Our team got to film winner Governor Arnold Schwarzenegger when he was crowned Cigar Smoker of the Year at Boisdale Restaurant in Canary Wharf recently. Also there was Kelsey Grammar, Jonathan Ross and many more notable figures for a glorious evening. Our crew filmed the evening transmitting live to our screens installed around the venue and produced a promo video and news – fabulous event and congratulations to all involved! What a fabulous weekend at St.Katherine Docks in London and a spectacular finale to an 11 month project with Clipper Ventures as the fleet of 12 race yachts returned home. With thousands of spectators along the river Thames and packed into the docks itself, they were all there to welcome the crews and see this amazing sight first hand. As host broadcaster, we were asked to manage the live feed, news and footage requests from media around the globe once again. It was also quite a technical challenge given the location, restrictions and the scope of the operation involved. This began on Friday night when the GREAT Britain yacht crossed the finish line off Southend Pier at around 9pm to win Race 16, the final one of the Round the World Race having left London on September 1st 2013. 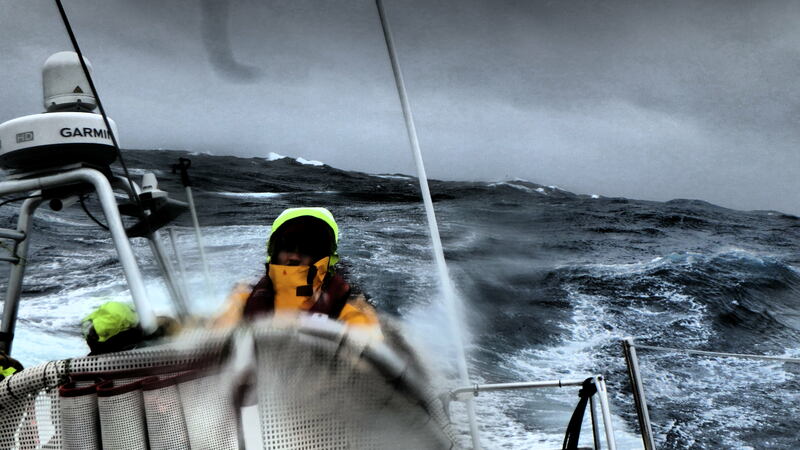 Our crew were on board the finish line yacht, and also on three of the racing yachts from Den Helder in Holland. Stalwart Brian Carling was on the GREAT Britain yacht, having sailed Legs 1,2,3,5 and 7 of the race; Ollie Clague was on Henri Lloyd having survived the Pacific and the Atlantic Ocean crossings; and Tristan Perry was on Derry~Londonderry~Doire having sailed all the way from Singapore back in February (other on board camera operators included Dan Stephens – Legs 1 & 4, and Billy Holland – Legs 1-3. They have all had the most amazing experiences and met the most fantastic people along the way as the switched between yachts on each leg of the race to give the widest possible sponsor coverage. Having finished the race, the fleet then lined up next morning and paraded along the Thames in line astern formation. We were live for 4 hours and 20 minutes with a combination of helicopter images sent via RF link, and 2 x 3/4G back-pack transmitters on race yachts and chase boats, plus RF and cabled HD cameras in the docks area. We uploaded news cuts through the day to enable news broadcasters to access the footage, and these were widely used around the world. It was a wonderful conclusion to a year long project, but the work continues on our TV programming, with 2 different series in production – a Sports series 9 x 25 minutes and a documentary series called ‘The Race of their Lives’ 8 x 25 minutes, both of which will be distributed by BBC Worldwide in the coming months. Thanks to all the Clipper staff and all the sailing crew for their help and assistance!